Are you looking for the best boiler installation Southampton has to offer but don’t know which company to trust? 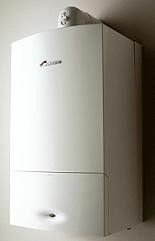 Look no further, as Combi-Nation boiler installation offers the best services for clients in Southampton. Our qualified personnel deliver high-quality services and products and will ensure that all your needs are met. Give us a call on 02380 775666to have a chat with one of our friendly specialists today. To our esteemed customers who need boiler installation, we have specialised services to ensure that we surpass all of our clients’ expectations. We provide the best services at the most affordable prices in the market. When you opt to enlist the expertise of our Southampton boiler installation technicians, you can choose between combination boilers, condensing boilersandvaillant installations. Our specialists have a wealth of experience and will provide you with support so that you can make the right decision for the benefit of your home and family. We offer condensing boilers which act as a central heating system, and while the cost of the boiler is one of the higher options, this type of boiler plays a significant role in reducing fuel bills by as much as a third in many homes. Our Southampton boiler installation team will first assess your property to determine the best location for installing the condensing boiler. A condensing boiler is an excellent method of reducing emissions and keeping your surrounding areas clean from poisonous gases like carbon monoxide. Our boiler installation in Southampton is top notch and we ensure that we pay meticulous attention to detail to ensure that your boiler delivers in terms of performance. However, in order to maintain its level of efficiency, we deliver high standards when it comes to repairs and maintenance inspections too. A boiler needs scheduled servicing just like any other machinery to ensure that it continues to provide the required services effectively. Our service includes a thorough inspection of the boiler and parts to make sure that there are no damages, wear and tear or loose parts. Rectification of the boiler is done according to the report from the inspecting technician and in accordance with the set standards. A boiler is most likely to have deposits regardless of the frequency of its use. These deposits reduce the efficiency of the boiler and lead to high costs of gas and electricity. Our highly skilled technicians remove these deposits and restore the boiler to its initial condition. A boiler which has to withstand fluids under high temperature is prone to rust which consequently leads to eating away the metal services and causing leaks. Our engineers will inspect for any leaks or rust and ensure that the parts are repaired or replaced accordingly. Our team carries out inspections and tests on the gases within the boiler to ensure that there is no presence of foreign and dangerous gases which may contaminate the contents of the boiler. The team investigates the source of entry for these gases and carries out the required measures to ensure elimination of the gases in future. To find out more about our boiler installation in Southampton, and the quality repairs and maintenance we provide, get in touch with one of our specialists today. Call 02380 775666 and we will provide you with impartial advice so that you can make a decision which suits your requirements and budget. Combi-Nation offers the finest boiler installation Southampton and understands the need for a fast response during emergencies. We are available 24/7 and provide our clients with a reminder prior to a scheduled maintenance date to allow them to make the necessary preparations to ensure normal operations continue or resume as soon as possible. We offer the most competitive rates and discounts to our clients and we are a registered company by Gas Safe. You can therefore rest assured that you are dealing with a professional company which puts the Southampton boiler installation needs of its customers first. Give us a call today on 02380 775666 or drop us an email for any queries. 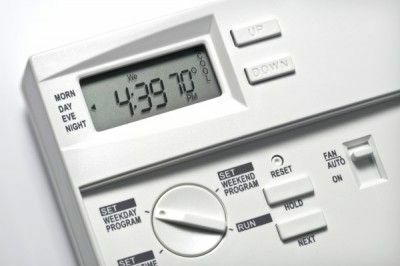 We understand that some services are urgent so you will get an instant response for all your repairs and boiler installation Southampton needs.